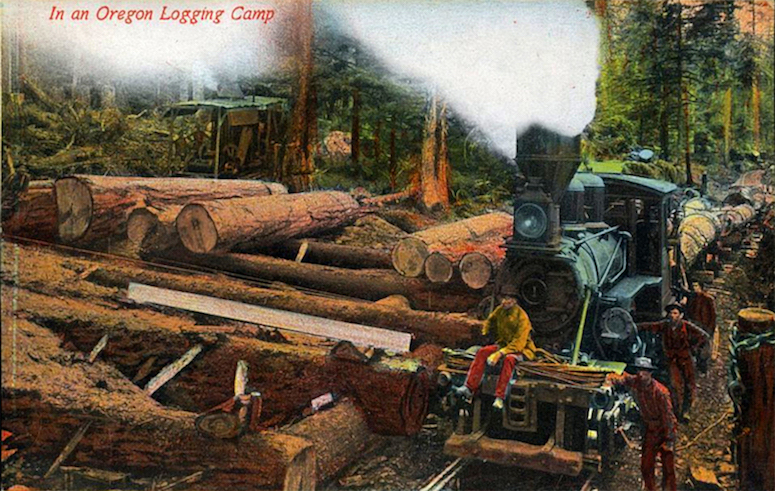 This is part II of this ongoing saga of a backwoods logging outfit set along the border of Kentucky and Tennessee in 1910. I'm looking forward to continuing the dialogue in this most fascinating of hobbies. Sorry to hear about the ransomeware. It got me too but I have an external hard drive and worked around it. Were you able to repost all your great pictures? I saved all my favorites but not all of the construction threads etc. My faves I will print on paper to enjoy in to old age. The ether of the Internet is rather fickle I have found out. As per your request I deleted the other thread Tom. Looking forward to this new one! THANKS Mike. I like having a clean slate and a restart, almost like starting another layout. Great job on hiding the "window" Tom. Thank you Mike. A lot of trial and error planting all the irregularly shaped trees. You did a great job disguising the window between scenes. I was wondering how you were going to do it. 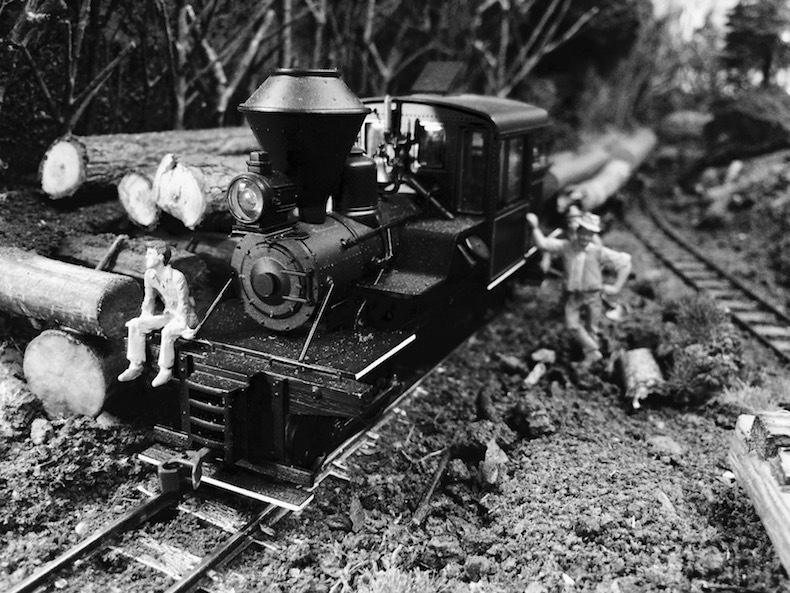 You truly have a branchline railroad. The new thread is an excellent idea. 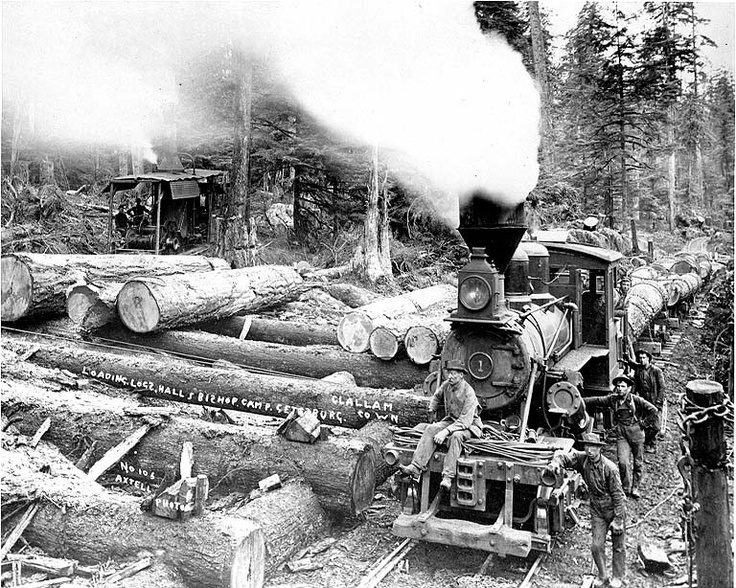 I have always liked this photo of a log landing in Oregon about 1925. This is a �colorized� version and for the life of me I have had a hard time locating the original B&W on the net. I have seen it before but cannot recall where. Thank you so much for sending that B&W shot. I looked high and low for it and could not get my electronic fingers on it. 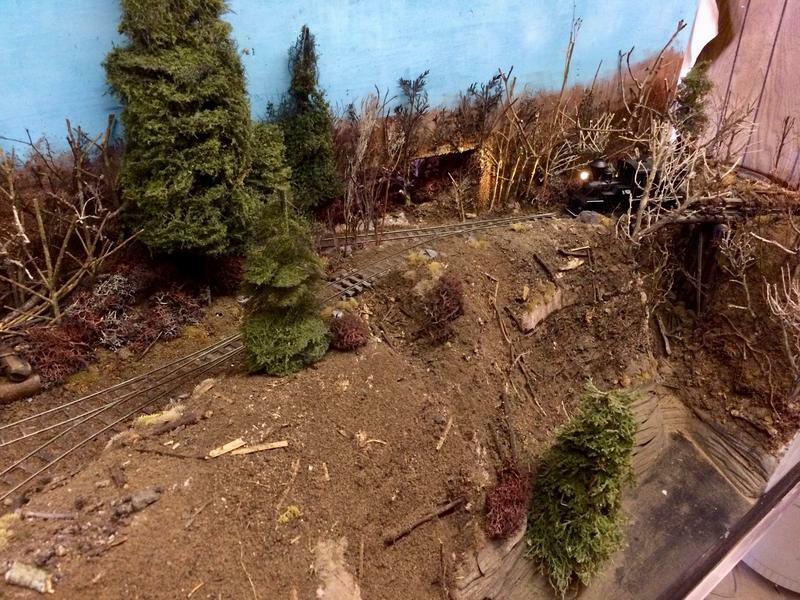 I will be saving it as it was the inspiration of my log landing scene.